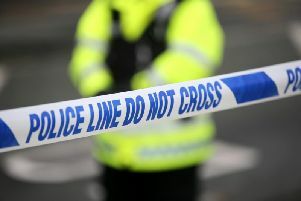 Two people had to be evacuated from flats above a shop after a deliberate fire in Carrickfergus this morning (Monday). Police attended the incident in the Cheston Street/Market Place area of the town in the early hours. Sergeant Stephen Mellon said: “At around 2.50am today, colleagues from NIFRS asked for police assistance at the scene of this fire. Police found a lit wheelie bin pushed up against the shutter of the shop. Anyone who witnessed anything suspicious in the area is asked to contact police on the non-emergency number 101, quoting reference 163 of 11/6/18. Alternatively, information be provided to the independent charity Crimestoppers on 0800 555 111.